I've never concealed my admiration for the work of Frank Auerbach. And since no major study had been published since Robert Hughes' monograph of 1992 (out of print), I wanted to give you a look inside the most recent book on the artist by established writer and critic, William Feaver. 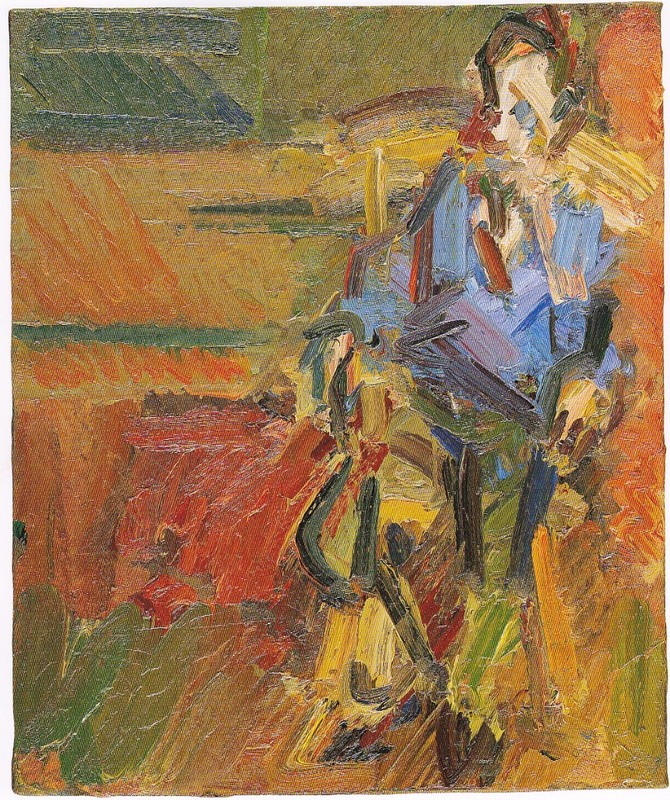 Early Influences - the influence of David Bomberg on the young Auerbach and his conception and approach to form. Routine A profile of Auerbach as the creative pragmatist, his faith and dependence on routine as a framework from which to investigate the people and places that inform his subject matter. His Sitters Insights into his encounters and relationships with the people who have sat for the artist year after year and confronted first hand the personality and method behind the art. Feaver himself has sat for Auerbach since 2003, so is well placed to relate to readers the intimacies of studio engagements under the eye of Auerbach. His Town We learn of Auerbach's attachment to place and the familiarities of his quarter of London, and how these have underpinned the dogged observations and discoveries he seeks out both in and out of the studio. From the early studies of construction sites, sketching at museums, to studies of the urbanscape and alleyways leading to his own studio. Contemporaries Feaver's profile of Auerbach is also enriched by insightful references to some of Auerbach's circle of influence, including Sickert, Bomberg, Bacon and Freud to name a few. The Plates With these large, clear and high quality reproductions (over 200 over them) you will have no trouble studying and admiring the surfaces and textures as best as reproductions allow. Careful study will reveal much about the variety, skill and energy behind all Auerbach's thought process and paint-handling. And if you were hoping to hear more from Auerbach himself, the book includes a riveting six-page conversation/interview with the author. As a painter's resource this book is invaluable. It provides an exceptional and engaging context from which to approach Auerbach's compelling yet often complex body of work. It confirms that this artist's legacy can be considered in terms that go well beyond the tendency to classify him as merely a "figurative" or "expressionist" painter . "I work from intimate places that one will be leaving all too soon.."
Not an inexpensive book, however it is worth every cent (and judging by the 5-star ratings on Amazon, I'm not alone in this opinion).